This started out as one post but then it got excessive, so I split it into two. Here’s part one! 1. For the past two weeks I have been enjoying TV coverage of the Summer Youth Olympic Games in Nanjing, China. Towards the end of July I purchased a small sports package with our satellite provider. Since then I have been able to watch coverage of triathlons, ultramarathons, and various swimming and gymnastics events (National Championships, Pan Pac Champinships, etc.) in addition to the Youth Olympic Games. 2. Lady continues to improve after her leg injury. She is walking a lot better now and has put some weight back on. She seems to be eating and drinking a lot better now, too. When she walks around in the yard she continuously steps on her own feet, which makes me wonder how much sensation she actually has in her left leg. We are hoping to be able to introduce her back into the flock in the near future. No idea how that will go. 3. I have been watching Season 1 of Orange is the New Black on Netflix lately. The TV series is a lot different from the book! It’s still entertaining, in its own way, but I like the book better. I think if I had watched the series on Netflix first I probably would not have read the book. 4. Barry and I recently got involved with a group in the area that trains Bloodhounds for Search & Rescue. We got involved with the group after meeting a member of the group at the New River Valley Fair earlier this summer. So far we have only been to one meeting, and we just took Hank since we didn’t know what to expect. Hank did well in identifying someone in a line up based on a scent on a paper towel. He also did great on tracking someone that left a trail through the grass and was hiding in an open wooden building, also using a scent off of a paper towel. I’m excited to work with both him and Scout some more, although I don’t know if we’ll go as far as certifying them. This will probably garner it’s own post in the future. I didn’t take any pictures at the meeting, but above is an example. However, when Hank is actually tracking he wears a harness and uses a 30 foot leash. 5. 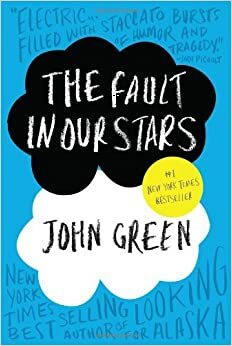 I’m currently reading The Fault In Our Stars. I decided to take a break from the Maze Runner series to read some other books on my wish list. I’m looking forward to seeing the movie (when it comes out on Netflix) for The Fault In Our Stars. If you have read OITNB and seen the TV series, what did you think between the two? So cool that Hank was able to track some scents! Yes! He is annoying me in the show. I’m not sure if I’m even going to watch season 2 – we will see. Bring Scout and Hank with you on Friday. They might be needed to help find you or me if we get lost on our middle-of-the-night runs! HaHa! They could have tracked us down no problem! I cannot imagine having the two of them in the van with us, though, haha.